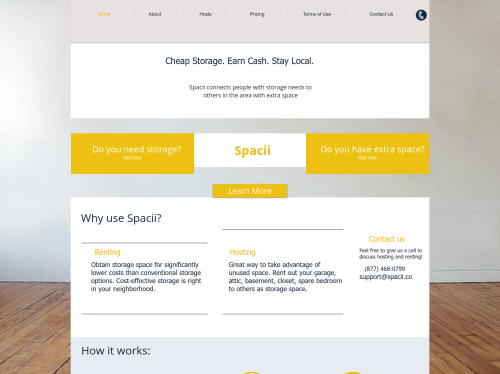 Spacii provides an online platform to connect people with storage needs to others in the area with extra space. Most people have unused space in their home whether it be a garage, basement, attic, closet, unused bedroom, etc. Spacii provides an easy solution for utilizing extra space while providing a cost-effective storage option.